Sonia Rykiel opened her first boutique on Paris’s Left Bank in 1968, the year of the student riots, and was christened “queen of the knits” by Women’s Wear Daily, not long after that. Her skinny sweaters, worn tight-fitting over androgynous torsos, were a far cry from the structured, jolie madame clothing that came before them; perfectly capturing the spirit of increasingly emancipated times. Rykiel was a writer of novels and children’s fairy tales. In 1994 she turned her hand to music, recording a duet with Malcolm McLaren. Her instantly recognisable and quintessentially French flame-haired, alabaster-skinned, dramatically-dressed appearance has captured the imagination of artists including Andy Warhol, Giacometti and Jean Cocteau. This article first appeared in AnOther Magazine S/S08. 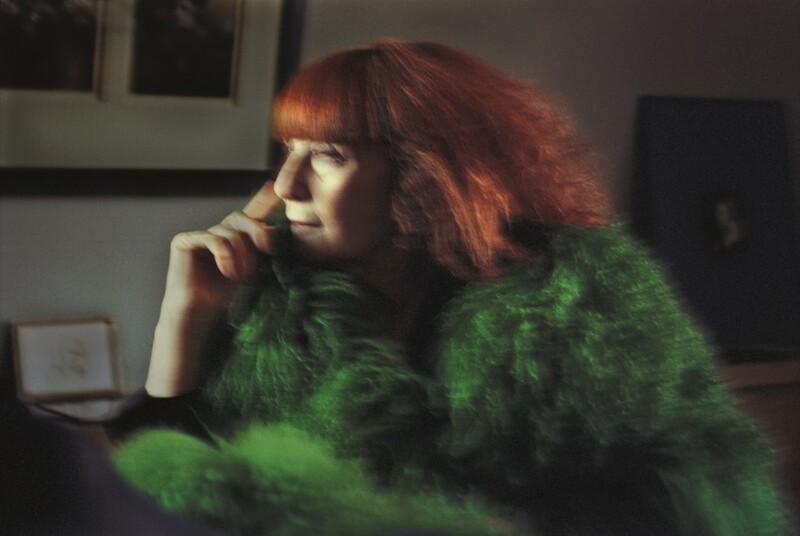 Sonia Rykiel (née Flis) was born on May 25, 1930 in Neuilly-sur-Seine, France. She passed away on August 25, 2016 at home in Paris.